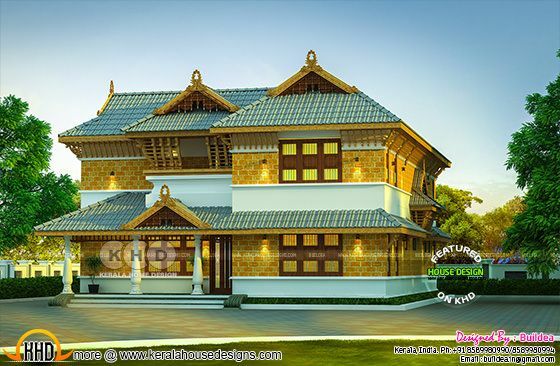 Traditional style 4 bedroom Kerala home design by 3688 Square Feet (343 Square Meter) (410 Square Yards). Design provided by Buildea, Kollam, Kerala. Ground floor Area : 1844 sq.ft. First floor Area : 1844 sq.ft. 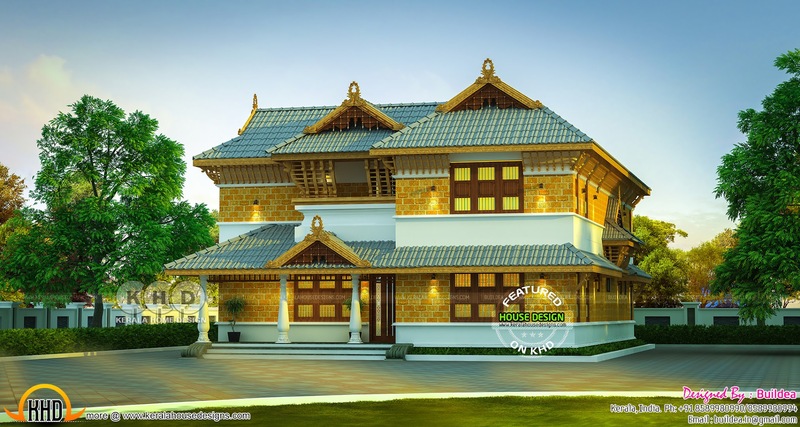 0 comments on "4 bedroom tradional Kerala laterite stone residence"